SeaWorld is afraid that the truth about captivity is spreading, especially since the release of the film Blackfish.The open letter advertisement placed by SeaWorld is in response to Blackfish, but steers clear of the title for fear of bringing the film further attention. Blackfish has already been seen by over 20 million people, has been shortlisted for an Oscar, and is negatively impacting SeaWorld's public image and bottom line. Its stock price has dropped as much as 30% since the release of Blackfish, its CEO and institutional investors have dumped tens of millions of shares, eight internationally renowned musical acts have cancelled performances at the park, and the company has resorted to recruiting visitors with Groupon deals to boost failing attendance. SeaWorld's rescue and rehabilitation efforts have been struggling to keep up with the incredible efforts of dozens of highly qualified organizations across the country for many years. SeaWorld Entertainment claims $1.5 billion a year in revenue, yet they have spent only $9 million on conservation in the last decade. This translates to only 0.0006 of the company's net revenue being funneled back into research and conservation annually. For every hundred dollars made by the park, less than 1 cent is given back to research benefiting wildlife. Furthermore, most of its rescue work is with animals that are not profitable as performers in its shows. SeaWorld has never released an orca back into the wild. 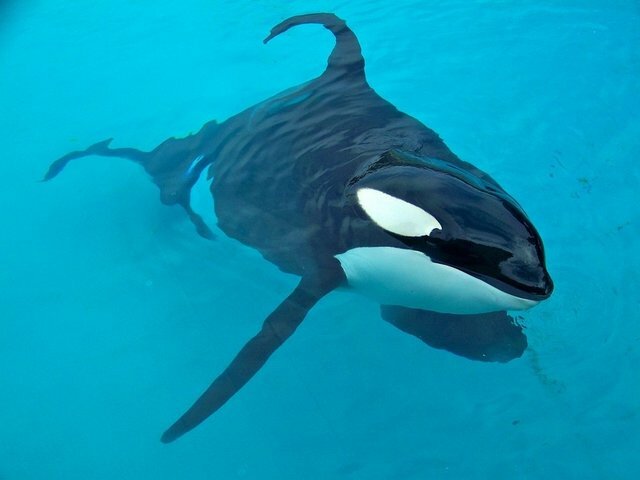 The letter ends by saying the recent attention to the park is just part of a "growing shift" in public awareness about animals at SeaWorld, and demands that the park "adapt to an informed public."